At a time of increasing focus on the renewables market as the world seeks to clean up its act to prevent climate change, what is the outlook like for coal? If an August report from Statistics Market Research Consulting (Stratistics MRC) is anything to go by, the answer to that question appears to be, ‘not as bad as one might fear’. The report, Coal Industry – Global Market Outlook (2017-2026), forecasts the global coal market to grow at a compound annual growth rate of 12.5% from 2017 to 2026 — and hit $34.65m by the latter year. An enlarging manufacturing base, rising economic growth, and increasing electricity demand are some of the key factors propelling the growth, according to the study, though the report did claim that price instability is restricting market enlargement. Furthermore, the world coal market accounted for $11.93m last year. Based on geography, growth in the market during 2017-2026 is anticipated for the Asia-Pacific region —several nations in the area, such as China and Japan, lack energy resources and are therefore importing to meet requirements. However, this positive picture stands somewhat alone. At the end of August, it was reported that a push to lessen the development of coal mines, as well as growing investor pressure to divest from fossil fuels, is generating a mining industry division between businesses leaving the sector and companies vowing to stay in it. Banks that have reportedly brought lending for new coal mines to a halt include Deutsche Bank and the Royal Bank of Scotland, while new project spending has dropped 80%, from $10bn in 2012 to $2.2bn this year. This trend, along with a government-led campaign in China to cut the supply of domestic coal to reduce pollution, has made the coal price almost double over the last three years — to trade at $113 a tonne. But some companies are staying in the industry or enlarging their presence. For the world’s biggest miner, BHP, there is confidence in coal’s staying power. “The world, rightly or wrongly, is going to be using a lot of thermal coal,” claimed Peter Beaven, BHP’s chief financial officer, referring to the kind of coal used in power stations. 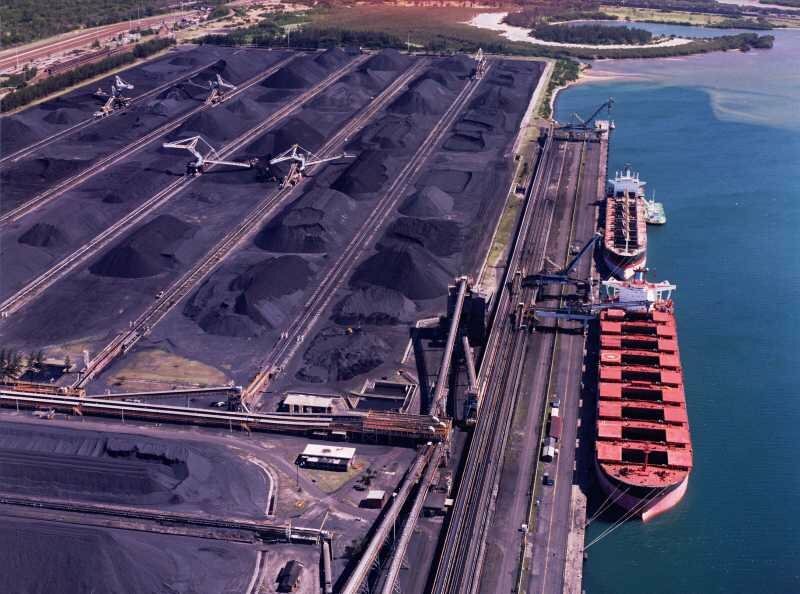 The company has no plans to sell its coal assets — and neither does the biggest producer of seaborne coal for export globally, Glencore. In fact, Glencore is in expansion mode. This year, it purchased a 49% share in a Yancoal-operated thermal coal project in New South Wales in Australia and bought Rio Tinto’s Hail Creek coal mine in Queensland, also in Australia, for $1.7bn. The company reportedly made $2bn from its coal division in H1 2018, with the business estimating that at current prices, coal will be its largest earnings driver for the full year. Macquarie Group analysts describe the organization as “slowly stepping into the breach, quietly consolidating its position in an unpopular sub-sector of the mining industry”. However, not all coal miners have had such good fortune. In March, Rio Tinto sold its last coal mine to EMR Capital and Adaro Energy for $2.25bn, while South32 plans on selling its South African thermal coal assets to local investors later in 2018. South32 chief executive Graham Kerr has reportedly argued that thermal coal is increasingly becoming a focus of meetings with investors. “Every six months, they tell you they can’t invest in you,” he noted. What’s more, coal could soon find itself eclipsed by renewables. Fitch Solutions said at the end of August that renewable energy will play an increasingly important role in powering mining operations across the globe over the coming years, while Alexa Capital co-founder Gerard Reid has said that because wind and solar power have already become less expensive than coal-fired power in many parts of the world, a renewables move could happen faster than many believe. The mixed messages mirror the division among investors and analysts over coal: while both the Church of England Pensions Board and BMO Global Asset Management have both turned away from supporting coal, Norway’s $1tr sovereign wealth fund (which owns Glencore shares), has said it would only exclude companies “which themselves, or through entities they control, derive 30% or more of their income from thermal coal”. Yet, Stratistics MRC’s prediction of Asia-Pacific coal market growth resonates with other indicators for the field. BP predicted that coal would likely stay the dominant energy source in Asia as late as 2040, while the Australian Bureau of Statistics said that Australia’s coal mining industry increased capital expenditure by 20% in 2017-18 to $3.5bn. However, analysts are split on how fast the planet’s largest coal consumer, China, will move away from the commodity. According to official figures, its coal consumption went up just 0.4% last year. However, BHP, despite feeling that coal is set to “progressively lose competitiveness to renewables on a newbuild basis in the developed world and in China”, predicts that the crossover point will not be reached until the end of the next decade and says that coal power “is expected to retain competitiveness in India and other populous emerging markets for a much longer time”. As for the US, it was reported at the end of last month that US President Donald Trump was pushing forward with his endeavors to revive the US coal mining sector and that the Environmental Protection Agency claimed it was planning to repeal previous president Barack Obama’s Clean Power Plan, relaxing coal-fired power plant regulation. US coal miners like Peabody will no doubt be pleased by this shift in emphasis — its shares are up by 7% in the year to date, having reportedly been boosted by President Trump’s coal-supporting efforts.